Are you ready to realize your dream of learning to fly? 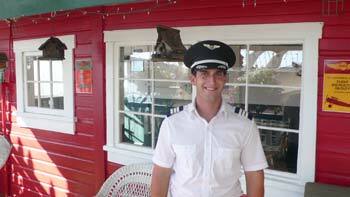 For many people, becoming a pilot is one of the most rewarding accomplishments of their lives. And nothing compares to flying a seaplane! Seattle Seaplanes is one of the few places in the nation where you can earn your private pilot certificate on floats. A private pilot certificate will qualify you to act as pilot-in-command (PIC) of an aircraft. You will be able to take friends and family on beautiful flights to areas of the country few people get to see. If your interest is to become a professional pilot, this is the first step towards an exciting career in aviation. Completion time of private pilot certificate depends on the frequency of training. Students who train 2-3 times per week can expect to spend approximately four months in training. Students training 5-6 times per week can complete it in 5-7 weeks. The FAA requires students to log a minimum of 40 flight hours; however, most students require more hours to achieve the necessary proficiency. 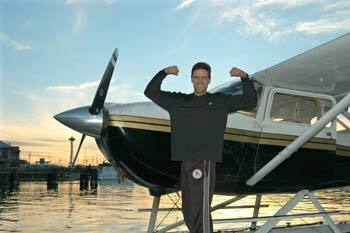 The staff at Seattle Seaplanes provides personalized service to meet the individual needs of our clients. At the completion of your training, you will be able to demonstrate through written, oral, and flight tests that you meet the requirements to be pilot-in-command of a single engine seaplane. Over the years, our clients have found seaplane flying to be the most enjoyable form of flying. We are confident you will agree with them. We hope to see you here soon at Seattle Seaplanes! *Actual flight training varies with each student. The average listed is based upon our student history; prices subject to change. Contact Seattle Seaplanes for more information. Must be a US Citizen, or be in the US on a visa that allows flight training. Click here for more information from AOPA. issued a US based on foreign certificate, he/she must also obtain a letter of verification. convert a foreign pilot's license once we have the letter of verification. Contact us today for more information about our flight training programs.